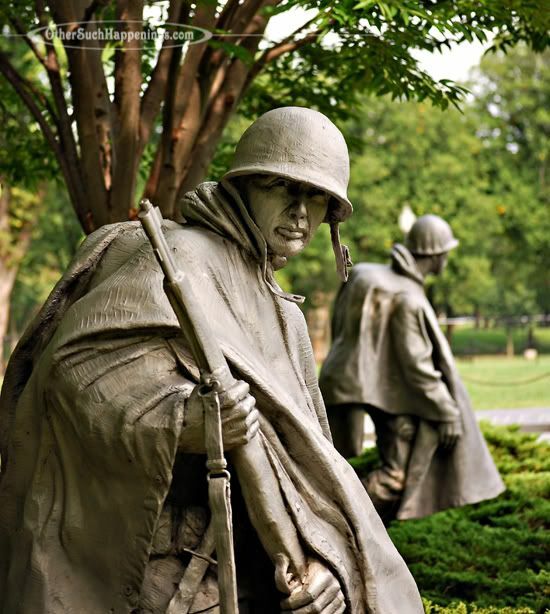 Today is a day to remember all the brave hearts who laid down their lives in service to our great country. 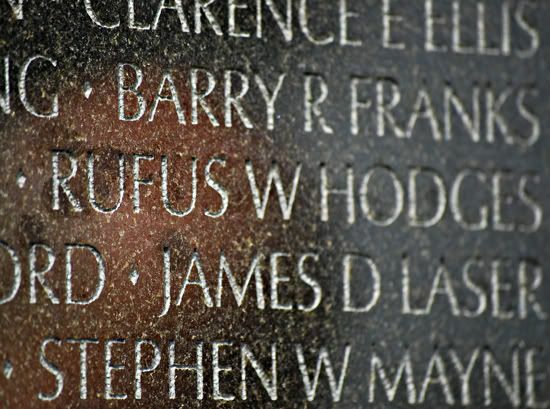 My Uncle-- Rufus Weldon Hodges. One of my favorite poems that was first introduced to me in the 5th grade... It is one that I want my boys to memorize. That's a great poem. 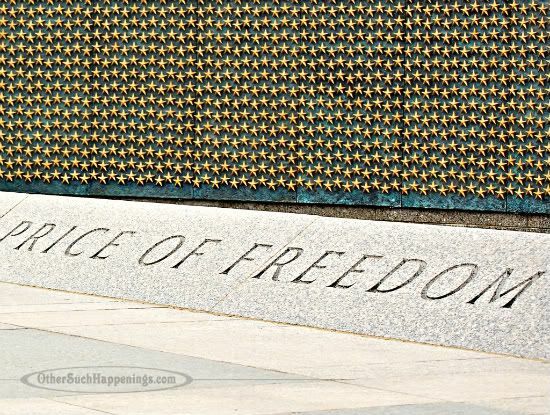 I love the picture of Austin and Noah in front of the "Freedom Is Not Free" wall. I LOVE the picture of the boys in front of the sign. WOW! I haven't read that poem in a long time. I had never read that poem before. Powerful! 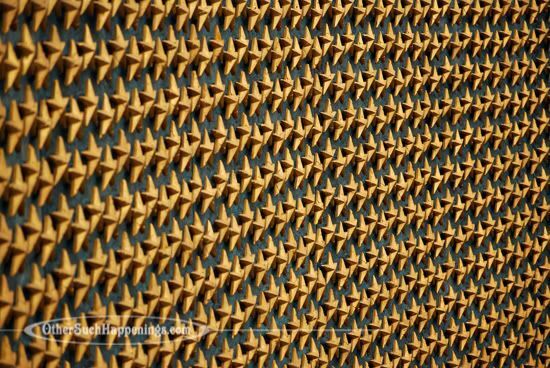 I love all of your photographs, especially of the boys in front of the "Freedom" wall. 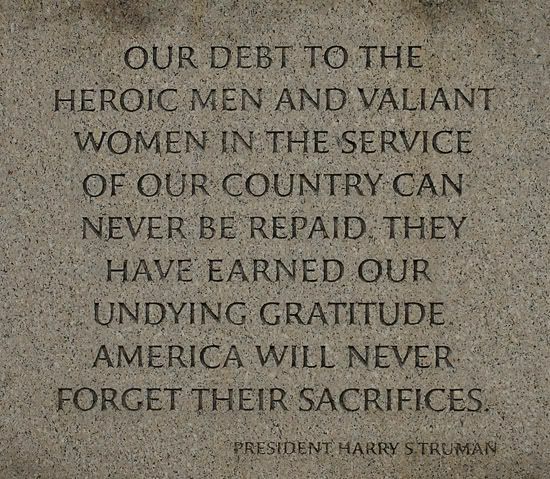 I hope your family has a great Memorial Day! The freedom is not free pic is so powerful! my kids & i memorized this poem last year when we studied world war 1. we still recite it every so often so we don't forget. 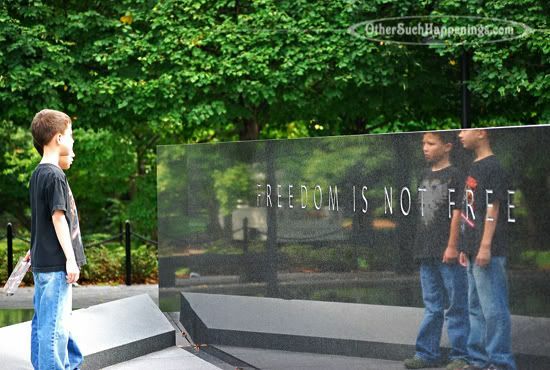 i, too, love that picture of the boys in front of the "freedom is not free" memorial. You should send that picture of the boys into a military magazine. Amazing. Hello, first time visitor, I found you from Speaking from the Pew. I have enjoyed reading (several) of your posts about your story and all. :) You are one blessed mama!